So this week I feel like I hit a wall. Two things happened when I slammed full force, no airbag, at 120 MPH into this wall. First, I was wondering why I kept reading my cards, listening to my audios and reading!? I did not feel like I was moving forward. I felt I was standing still just going through the motions. But then it hit me. I was conscious of my thoughts and my feelings. I was aware of the happenings going on in my brain. It was the old blueprint taking shape. This is the time where I used to change, revert back, create my own failures. It’s the 7-10 week mark. I seen this in a few MLM companies I have been in. When I did Insanity workout (it was the 7th week where I started making reasons not to work out) and other programs, ideas and changes I have attempted. So, the first thing I gained was the understanding of MY process, the point where I look at the cement buddha and say “yup, this is it.” So that leads me to the second wall smash headfirst with no helmet in an open top Yugo point. When I finally took a good look at me. I sat down, closed my eyes and just thought about what I had just learned about myself. I just thought about the cause, no more about the effect, simple because I knew what that was anyway. I thought about the cause. I could have blamed how I was brought up, the perception I had on life, how I followed sheeple, but that was not it! It was the imagery that was not there! I could not see in picture from what my DMP was giving me. This is huge. We have learned this in the last 8 weeks of MKS and in every other exercise we are doing. We have been building a cause to create the effect we want. I missed the detailed imagery you need to create to do this. I can read my DMP, POA etc.. but I have not FULLY AND IN DETAIL have the movie or images clearly in my thoughts. So the 2 lessons I learned this week is…. I found my breaking point and the reason I had this breaking point was because lack of clear, defined image (picture or movie) of the person I want to be. I have been using my current looks and position to create it and not thinking outside of my own limits to create one. which your future is to be clothed. I did not just hit the wall, I CRUSHED it!!! 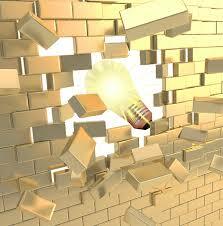 Brian it sounds to me like rather then finding your “breaking point” you found your Break Through point….Awesome!! Congratulations, let’s keeping moving forward indeed. . . . Thanks for sharing your process! Some weeks are easy and some are not so much, but in the end…we are worth it! And since we begin anew each day and have the power of our thoughts…we will succeed! And everyday, I begin this day with love in my heart. Blessings! Ladies and gentlemen, THIS is how it’s done!! …If you want to excel, succeed and CRUSH IT in life, then I’d suggest following Brian Frank. This is one cool guy that’s unstoppable!! BAM! That’s the way to get it done! Great job breaking through the old blueprint!